From our guest contributor, Frank Sonnenberg. We make commitments every day. They can be simple or life-changing — from simply promising to complete a task to making a lifelong commitment such as becoming a parent or asking for someone’s hand in marriage. But do we take our commitments seriously? Some folks make commitments at the drop of a hat, thinking they can walk away from the obligation if they change their mind. Don’t they understand that commitments come with responsibility? Don’t they care that they may be hurting someone they care about? Don’t they understand that their actions have consequences? If the answer is yes, why don’t people honor their commitments? Lack personal responsibility. Some people make commitments too easily. Then, as soon as the wind changes direction, they head for the exit. Make a minimal commitment. Some folks are afraid of getting hurt so they dip their toe in the water rather than jumping in. Play the field. Some people don’t like to be tied down. They’d rather settle for several superficial relationships than one meaningful one. “Jump ship” for a better offer. Some folks are opportunists. They’re always on the prowl for a better situation. Look out for number one. Some people are strictly out for themselves. These selfish folks have a hard time making a commitment that requires even minimal sacrifice. Keep score. Some folks treat a relationship as a competition. They can’t stand being on the losing end, even for a short period of time. Make too many commitments. Some people can’t find the words or courage to decline a request. They end up breaking their promise; one that they never felt comfortable about making from the start. “Chicken out” during tough times. Some people have no character. As soon as something goes south, they’re nowhere to be found. Here are nine ingredients of a successful commitment. Use them as guideposts through your life. Go all in. Think twice before making a commitment. Once you do, take the plunge rather than making a half-hearted effort. Honor your word. Accept responsibility. When you make a commitment, you’re giving your word and putting your honor on the line. Act like it. Expect the best. Put your complete trust and faith in the commitments that you make. That will encourage you to focus on long-term potential rather than seeking immediate gain. Keep the relationship front and center. Focus as much on the journey as on the end result. Never sacrifice the relationship for results. Give first. Give with an open hand. The odds are high that your deed will be reciprocated. But remember, there’s no need to keep score. Make yourself vulnerable. Be honest and transparent. That will promote a healthy, trusting relationship. Demonstrate your loyalty. Live up to your commitments in good times and bad. Tough times say a lot about us. Make sure they say only good things about you. Watch each other’s back. Promote opportunities where everyone wins. Focus on their best interests and have faith that they’ll focus on yours. Think as one. Build together, grow together, and win together. It’s that simple. People are way too quick to make commitments and too quick to abandon them. When you make a commitment, you’re not saying I’ll give it a shot, you’re saying, I’m all in –– and nothing less. When you make a commitment, you’re not saying you’ve got more than I’ve got, you’re saying I’m so happy that you’re happy. When you make a commitment, you’re not saying I’ll honor my responsibility when times are good, you’re saying count on me to be at my best when times are worst. The truth is, when you make a promise, you’re not giving your word in erasable pencil, you’re inscribing your commitment in indelible ink. 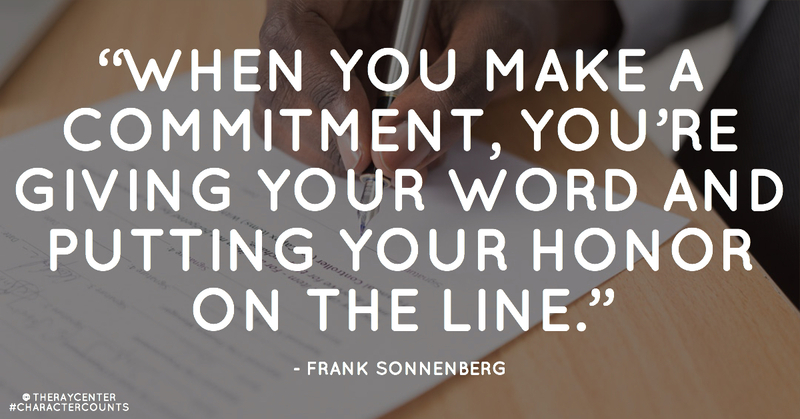 Making a commitment is serious business and not something to be taken lightly. When you make a commitment, you’re not only keeping your commitment for their benefit, you’re also keeping it for yourself. That’s because your honor and self-respect hang in the balance. What’s that worth? Everything! Be very careful about making commitments and always be faithful in keeping them. This is adapted from BOOKSMART: Hundreds of real-world lessons for success and happiness by Frank Sonnenberg released November 2016. Frank is an award-winning author. He has written six books and over 300 articles. Frank was recently named one of “America’s Top 100 Thought Leaders” and one of America’s Most Influential Small Business Experts. Frank has served on several boards and has consulted to some of the largest and most respected companies in the world. 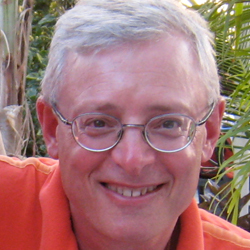 Additionally, FrankSonnenbergOnline was named among the “Best 21st Century Leadership Blogs,” among the “Top 100 Socially-Shared Leadership Blogs,” and one of the “Best Inspirational Blogs On the Planet.” Frank’s new book, BookSmart: Hundreds of real-world lessons for success and happiness was released November 2016. © 2018 Frank Sonnenberg. All rights reserved.